WinVistaClub, in association with Windows Vista - The Official Magazine, is organising a contest to recognise some of the best Windows Vista Blogs and Websites. We invite you to participate in this first-of-a-kind Contest to Judge the Best Windows Vista Blog or Website. So if you run a blog or a website, which primarily focuses on Windows Vista, we invite you to submit your Blog Title, Blog HomePage url along with upto a 4 line description about it. The blog may cover Microsoft & Windows in general, but must also cover Vista in particular. It could focus on Tips, Tutorials, Support Forums, Customization & Themes, News, Views, Media Center, or anything which may interest a Vista user. From among the submissions, the 10 best blogs will be picked up by a panel of Judges. The blogs will be judged on the basis of quality of content, integrity, along with the frequency of updates. And this is going to one difficult task. The Panel of Judges include Steve Sinchak MVP of TweakVista.com, John Barnett MVP of Windows Vista Support, Kerry Brown MVP of VistaHelp.ca, Steven Bink of Bink.nu, James Stables of Windows Vista Magazine, Emil Protalinski of Arstechnica, Aryeh Goretsky MVP of Lockergnome.Com, Barney Tormey Global Moderator at Neowin and myself. The top 10 blogs so selected by this Panel will be put up for a Public Vote. No Forum registration will be required for voting. Anyone can vote. The winner and 2 runner ups, will be selected from amongst the top 5 blogs getting the maximum number of votes. The Winner of the WinVistaClub Best Windows Vista Blog Contest 2008 will also get a Windows Vista Ultimate 32/64 bit DVD Box Pack, a Free 1 year license of ESET Smart Security Suite, a License of Magic Utilities, a License of MagicTweak, a one year subscription to the Windows Vista Magazine and a link for 3 months on the WinVistaClub HomePage. The 2 Runners-up will get a License of Magic Utilities & a subscription to the Windows Vista Magazine each. The 4th and 5th runners-up, will get a subscription to the Windows Vista Magazine each ! For more details about the contest, CLICK HERE. This thread should be used only for posting the Entries. Any questions on the Contest may be posted on this thread. Blog submissions will remain open from 10th Aug till 25th Aug (IDL). We will be visiting the Blogs after the 24th. So dont wait till the end to post your blogs. This should also be a great opportunity for Vista bloggers to showcase their blogs, as there is stong likelyhood that it will be visited by several people from all over the world. The 10 blogs selected will be put up for vote from around 26th Aug to 09th Sept. The winner & 2 runner ups will be picked up and the announced by around 15th Sept 2008. If you are not a member of this forum you may have to Register first. We hope you will enjoy participating as much as we will enjoy organizing. If you dont receive the confirmation email form us in your Inbox, please check your Junk/Bulk mail box too. If you are facing any problems you may mail me at 'happyandyk at hotmail dot com'. UPDATE : The second confirmatory mail has been done away with; registration is instantaneous! Aug 15th 2008. I am happy to announce that the first 100 participants who submit their Blog/Website's here will also get a FREE 6 months licence of ESET Smart Security Suite ! Do note that one username would get only 1 license, in case he wins. These personal licenses will be emailed to you after the Contest. Thank you ESET for the gesture ! Hey friends ... I'm Rahul Manekari. Get the latest info on releases from Microsoft and other software products..
Checkout the online reviews & Tweaks on Windows. Last edited by manekari; 10th August 2008 at 10:39. We provide information, news, tips & tricks and support in german language. Started in spring 2008 we have actually more than 3100 registered active users. Windows Guides is updated daily with tips to help you get the most out of Windows. The most popular part of my site is the collections of thousands of free wallpapers, icon packs, screensavers, fonts, and more. A collection of How-to's, Tips, and Tweaks for Vista. Started in the summer of 2006, Windows Vista Update has about 3000 pages of Windows Vista related content. 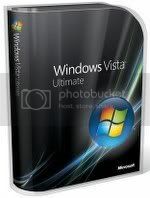 Windows Vista Update has the most accurate news, screen shots, wallpaper, downloads, themes, articles, research, Books, tools, a daily site blog, an article archive, Vista games, Vista videos and much more. The blog is made for users of Windows - servers and clients - bringing customization, tips, news, workarounds and the like. The title says all about the target of this site. Hello, my name is James M. Fisher and I a Microsoft MVP in the 'Windows Desktop Experience' category. My blog is :WindowsTalk Blog which I just started up a few weeks ago as a compliment to my main site "WindowsTalk". It's target audience is the novice to intermediate 'Home' user and I try to restrict my posts of news, tips and such to items that I think will be of benefit to them without getting too deep into technical jargon. Last edited by James; 10th August 2008 at 19:28.